We need to celebrate this year as the bicentennial of the World Food Revolution. 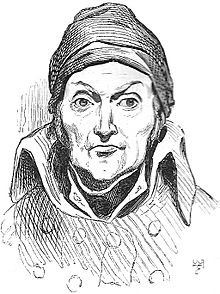 In 1810, a French Chef and confectioner Nicolas Appert published “The Art of Preserving Animal and Vegetable Substances”. This was the world’s first cookbook on modern food preservation methods and heralded the birth of Food Science. Appert worked nearly 15 years on ways to preserve foodstuffs in jars, sealed with wax and placed in boiling water. He also turned entrepreneur and set up the world’s first food bottling factory on the outskirts of Paris. This was the precursor to canning technology, a process still referred to occasionally as appertisation. Amazingly, Appert achieved this feat knowing nothing about bacteria and food pathogens. In fact, Louis Pasteur was not to appear with the next preservation technology (pasteurization) for another 100 years! Canning caught on quickly both in Europe and in the US but posed a challenge for consumers who had to use hammer and skill to get to the food inside until the invention of a can opener in the mid 19th century! Food Science evolved over this long period in a manner that defined classical applied science. Developments in disciplines such as Agronomy, Thermodynamics, Organic Chemistry, Material Science and Microbiology deeply influenced its direction and scope. Progress in chemistry created new preservation technologies like solvent extraction, filtration, dehydration etc. A better understanding of Thermodynamics and heat transfer triggered new process development including Freeze drying, blast freezing, IQF (individual quick frozen) and Retort. Breakthroughs in material science gave us a better understanding of barrier properties and hence enhanced our ability to better control the atmosphere within which the processed food would be packed. The list goes on and on. Equally, major changes in the social structure and the industrial revolution forever changed the way humans would eat and placed new challenges to food scientists, entrepreneurs and lawmakers. First, was an urgent need to break seasonality and ensure perpetual availability. Second, the spread of colonization and emergence of new societies demanded extended food transportation. And finally this had to be done in a manner that ensured safety from pathogens and protection against food adulteration. If the 19th century belonged to the food scientists and technologists, the 20th century belonged to the entrepreneurs. The heightened level of economic activity after the industrial revolution saw the emergence of food entrepreneurs and corporations eager to profit from these trends as they brought the benefits of science to the kitchens and dining tables of the consumers. Barely a hundred years after Nicolas Appert, not only were there thousands of food entrepreneurs but several developed into large food companies many of them who thrive with brands that are market leaders a hundred years later! By 1900, Pilsbury was already packing and selling dough. Delmonte labels existed on canned fruits. Aunt Jemina pancake mix was an emerging brand. McCormick, still in Baltimore today, was importing and selling spice blends. Add to that list Hershey’s caramels, Campbell Soup and Coca Cola. In fact Kellog’s and Post were already fierce competitors. Even as we celebrate the longevity of these brands, it is hard not to wonder whether corporate innovation in food science just crept through the 20th century with tiny incremental steps and did little by way of changing the way we live in the world. I guess it is a lot to ask corporations to address world nutrition and hunger. But it is impossible not to hope that food scientists and technologists will continue to worry about this problem and grow the pace of change in food science. I am particularly pleased that the bicentennial of the Food Science happily coincides with the recognition of TBRC (Tasty Bite Research Center) as an in-house R&D center by the Department of Science of Technology of the Government of India. Our stated pursuit of “creating a center for excellence in prepared foods R&D” that would focus on product, process and ingredient innovation just got taken seriously. I congratulate the TBRC team for this achievement. Maybe WB Yeats didn’t say it first but “In dreams begin responsibility”.